American Savers Club | Discounts You Need. Savings You Deserve. oil changes, hotels, car rentals and much, much more! Up to a $10,000 Value! 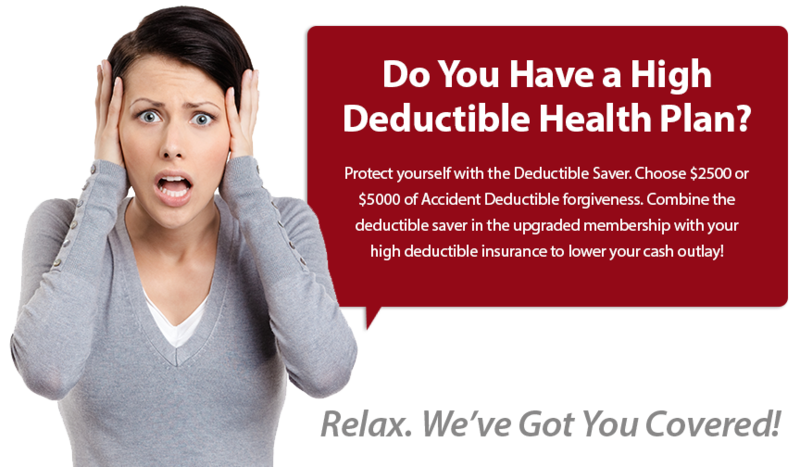 Reduces Small Deductibles for Accidents From Up to $2500 Down to $100 And We Guarantee It. Up to a $15,000 Value! Up to a $20,000 Value! Included with each membership plan. No matter your needs, American Savers Club is committed to providing you with the most comprehensive savings plans at the most attractive prices. Please note that these plans are not insurance. These are discount offerings and negotiating services offered by an experienced organization looking to help you save where it matters most. Upgraded Memberships are available in all states except AR, MA, MD, NY, OR, TX, UT.